Onsite we have a 850m bike and trike trail which is an easy loop around the grounds with a gentle gradient it is suitable for young children. This leads onto a pump track with a skills area for you to practice your bike control and increase your confidence. In the woods we have a technical rock garden (for the more advanced cyclist to be used with a qualified coach only). Other facilities we have onsite are onsite parking, a bike wash and a training room. Check out our site map to get an idea of the trails. We are consistently updating our fleet of bikes that include many small bikes suitable for primary aged children along with bigger bikes for secondary aged children and adults. Our bikes are only available to hire by groups that have booked a biking session with one of our instructors. Unfortunately we cannot hire our bikes out to people who are not visiting us. 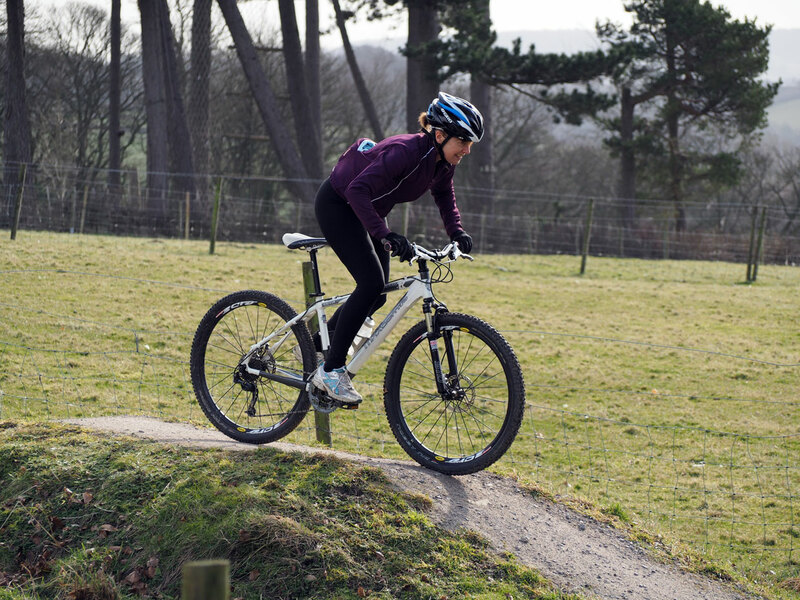 If you would like to book a biking session with an instructor during your visit, please enquire at the same time as making your booking to ensure we have the right sizes available on the day.